100%ABS, durable and lighter a highly impact-resistant plastic, with a textured finish to prevent against scratches. Sturdy ergonomic aluminum telescoping handle. Silent-running double spinner wheels which is multi-directional smooth and keep silent. 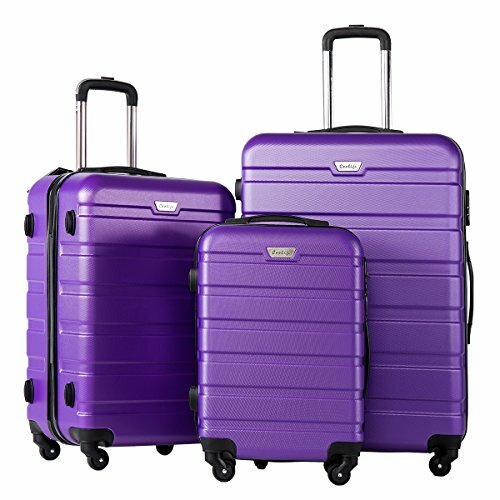 COOLIFE luggage – We wish you a pleasant experience with your new suitcase from COOLIFE®! This 3 set suitcase for checking in and suitable for carrying onto the plane. With Lightweight durable ABS hard shell material, it makes the luggage durable, flexible and absorbs impact when under stress. 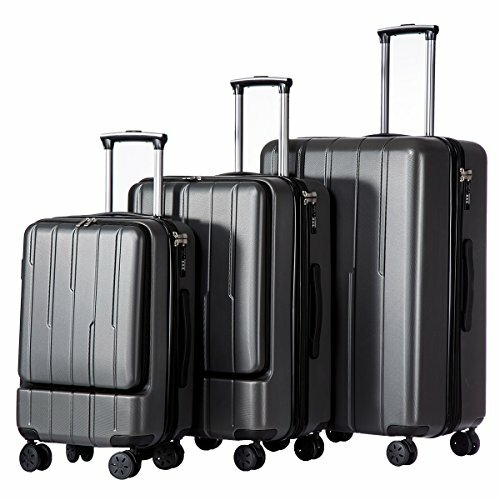 Features a unique lid top opening（similar to traditional soft side luggage）allowing for a deeper main compartment while offering the durability and protection of hard side luggage. Quiet airplane spinner wheel system and an adjustable 3-step telescoping handle system allow you to maneuver in tight spaces and provide effortless movement. 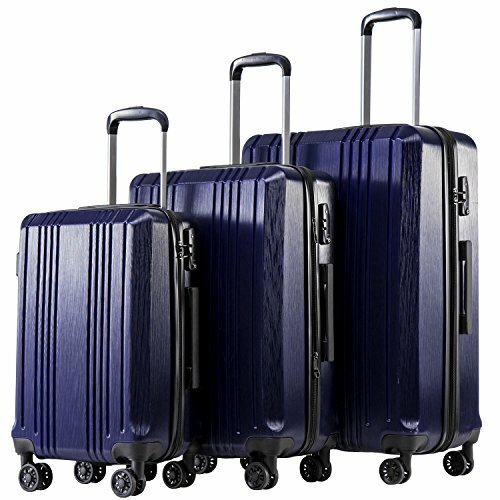 This luggage allows you to pack more while avoiding the excess weight surcharges imposed by most airlines.The interior is fully lined with multi-use organizational pockets make it easy for packing clothes. Fits in the overhead compartment of most major international airlines. One 19 Inch piece will be shipped to you in one order. TSA lock which allows only TSA agents to inspect your bags without damaging the lock.24in28in with Expandable,add 15%to the scalable space.